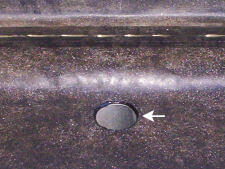 Asphalt used to impregnate an organic or inorganic felt base material. Drain that allows water on roof deck or gutter to flow into a downspout. Shingles containing factory-applied strips or spots a thermal sealing tab cement to firmly cement the shingles together automatically after they have been applied properly and exposed to warm sun temperatures. In warm seasons, the seal will be complete in a matter of days. In colder seasons, sealing time depends on the temperature and amount of direct sunlight hitting the shingles. Hand sealing with plastic cement can be done to ensure sealing in winter. Factory-applied adhesive that bonds shingle courses together when exposed to the heat of the sun after application. Also known as self-sealing cement. That portion of roll roofing overlapped by the succeeding course to obtain double coverage. 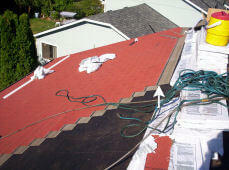 Slight differences in shingle color that may occur as a result of normal manufacturing operations. Removal of shake roof from an existing roof structure. 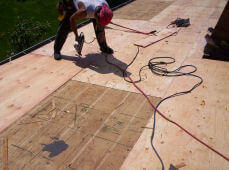 Exterior grade boards used as a roof deck material. “Skip sheeting” is used alone or in combinations with solid sheeting for installation of shakes. Skip sheeting allows air circulations under the shakes by using 1×4 or 1×6 boards that are evenly spaced so that air can move under the shakes. A roof containing only one sloping plane. Has no hips, ridges or valleys. 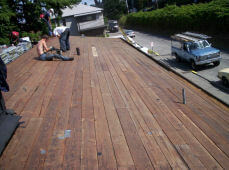 boards used to make solid roof deck, usually used prior to the use of plywood (prior to 1960). A 1×8 lap edge board used to solid sheet roofs before the introduction of plywood in approximately 1960. 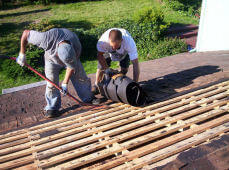 Asphalt roofing that provides one layer of roofing material over the deck. A method of the installation of roof sheeting usually used under shake roofs, which originally allowed the shakes to dry from both sides. Skip sheathing is used alone or in combinations with solid sheathing for installation of shakes. Skip sheathing allows air circulations under the shakes by using 1×4 or 1×6 boards that are evenly spaced so that air can move under the shake roof. A unit which covers an opening in a roof deck allowing light to penetrate the building. 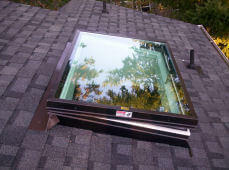 Metal flashing that is installed around a skylight curb that integrates with the roofing to make the roof water-tight. The degree of roof incline expressed as the ratio of the rise, in inches, to the run, in feet. Roll roofing that is covered with ground talc or mica instead of granules (coated). 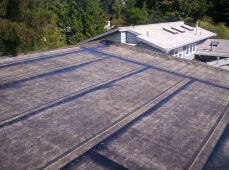 It’s recommended to coat these roofs with aluminum roof coating. The finished underside of the eaves. 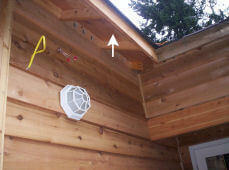 The installation of a vent material along the lower underside portion of the overhang as a ventilation system. 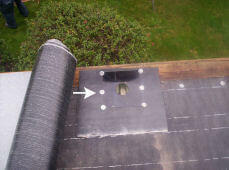 This venting should be used in conjunction with other venting material (e.g., ridge vent) as it not intended for use by itself. The horizontal distance from truss to truss. A self-adhering, waterproofing shingle underlayment designed to protect against water infiltration due to ice dams or wind-driven rain. A unit of roof measure covering 100 square feet. Shingles on which tabs are all the same size and exposure. 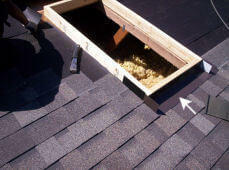 Asphalt roofing applied at the eaves that provides protection by filling in the spaces under the cutouts and joints of the first course of shingles. 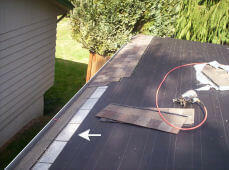 Method of installing asphalt shingles on roof slopes greater than 21 inches per foot. Flashing application method used where a vertical surface meets a sloping roof plane. 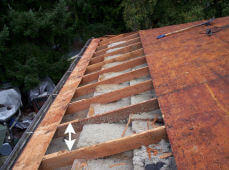 When a chimney or dormer wall intercepts the slope of the roof, step flashing is used. Step flashing is usually a metal piece that is bent in the middle, so that one end lays on the roof, and the other against the vertical wall of the dormer or chimney. Pre-formed flange placed over a vent pipe to seal the roof around the vent pipe opening. The collar is also called a vent sleeve. 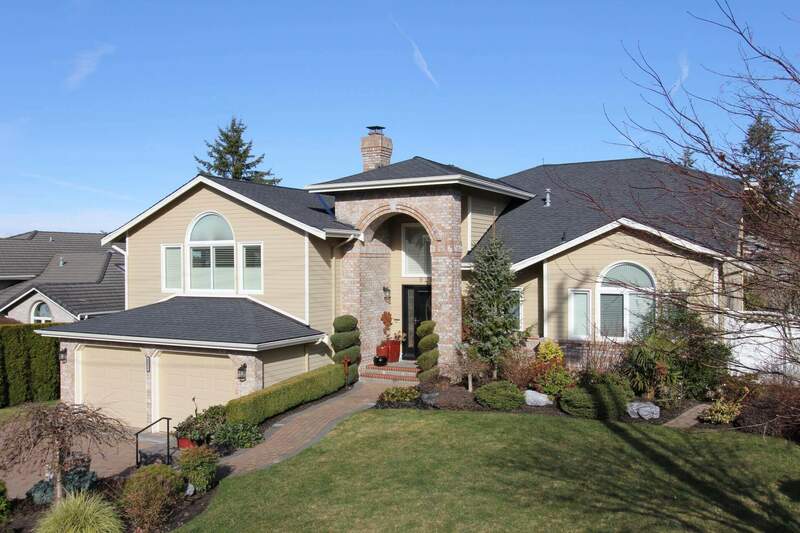 Asphalt shingles that are approximately three times as long as they are wide. 1 inch round or square-head nail used to fasten base sheet on hot or torch down roofs.